Last weekend as DuPSUG we organized the first Dutch PowerShell Saturday. Within three days we had to instate a waiting list for attendees to sign up on, as we had run out of tickets. To meet the demand for this unique events, we were lucky enough to be sponsored by the following four companies: Platani, Sapien Technologies, PowerTheShell and Manning Publications. 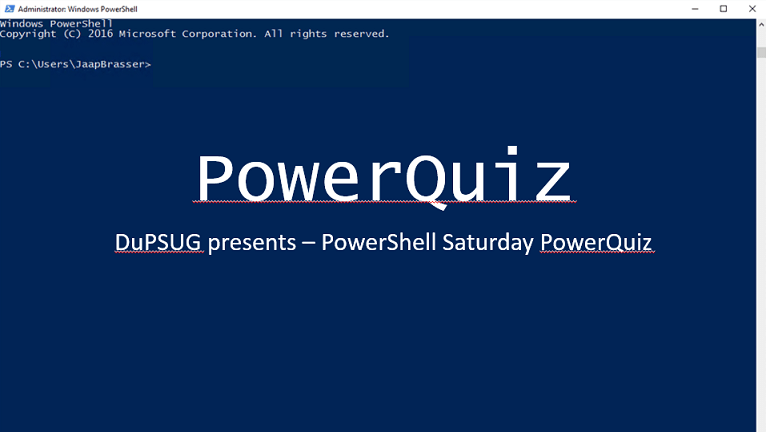 For more information in regards to PowerShell Saturdays or if you are interested in hosting a similar event locally feel free to reach out as I am always happy to share out lessons learned from organizing this event. This entry was posted in PowerShell and tagged Containers, Docker, DSC, DuPSUG, Event, JEA, PowerShell, PowerShell Saturday on 2016-05-23 by Jaap Brasser.